Mayne Island Skeletons is the 3rd in the Magda Mystery Series by Amber Harvey about Magda, the pre-teen sleuth and her pal Brent. Two mysteries must be solved: an ancient haunted house mystery, and the topical issue of proving that Brent is innocent of theft. 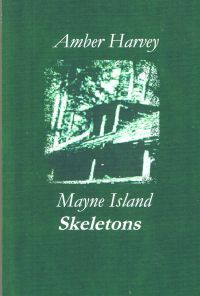 Mayne Island Skeletons is a readable story for pre-teens and families; Magda is a memorable heroine children can relate to.